A new industrial hemp cultivar has passed the THC hemp trials managed by the Colorado Department of Agriculture, the first hemp seed variety bred for the US to pass a Department of Agriculture hemp trial in any state. Thomas Jefferson was a jealous hempseed breeder who allegedly brought Chinese seeds in from France in the 1790s to mix with the European strains. 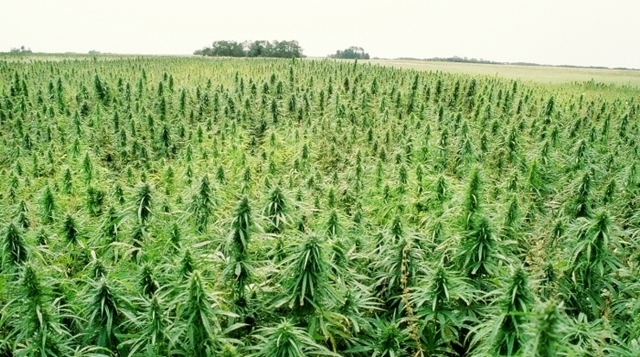 Later the US Department of Agriculture adopted an aggressive program to breed plants that were drought resistant and climate or soil specific for different parts of the United States and came up with some of the best hemp strains in the world. That all came to an end with the Marijuana Tax Act of 1937, when hemp farming was essentially banned. The national seed banks died out when the federal Drug Enforcement Agency took control in the 1970s and destroyed them in the name of the Drug War. In February 2015, Congress passed the hemp amendment to the Farm bill and opened new avenues for cannabis hemp. Two years later, Rely™ by New West Genetics has become the first modern hemp variety bred for the U.S. to pass Colorado Department of Agriculture hemp trials. The plants have a stable THC content below 0.1 percent, compared with the federal standard of 0.3 percent or less. If I Never Farm Another Day: What ‘Sometimes’ Farming has Given Me. . .
Maybe I am A ‘Sometimes’ Farmer, frankly. I love a fancy heeled shoe, flash and traveling around for food I didn’t prepare. For six long and short years, I have dreaded drought and snow. I have carried milk up and down my little mountain in both – 9 and 102 degree weather. I have said goodbye to cows and goats I’ve loved. I’ve raised and cared for what fed my sons. I’ve felt forlorn, like a massive failure. I’ve struggled with being a 20 year vegetarian and raising animals for meat and dairy. I’ve laid that struggle to rest. I’ve researched, used trial and error and learned how to do better. I’ve wondered if it is worth it many times. I’ve pondered if pushing this degree of work on a husband that works off the farm and taking this much time up that could be spent running my boys around to parks and lessons or play dates instead is selfish, ludicrous, even. I’ve heard from folks that cannot understand the reasons to keep dairy goats, chickens, meat rabbits and cattle when we do not have to do this. It isn’t as if we raise enough to make "life off the land," after all. 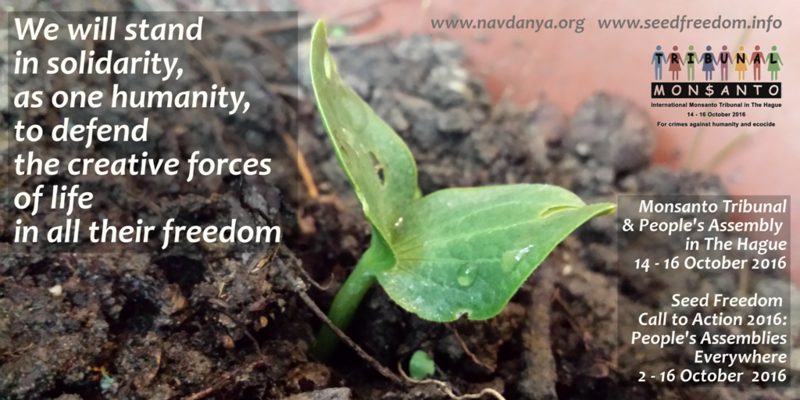 We do not depend on farming to earn an income, to support us economically. We work to allow us to farm, and while we often break even in monetary investment or make a couple bucks now and again, we have never attempted to survive solely working off the land. 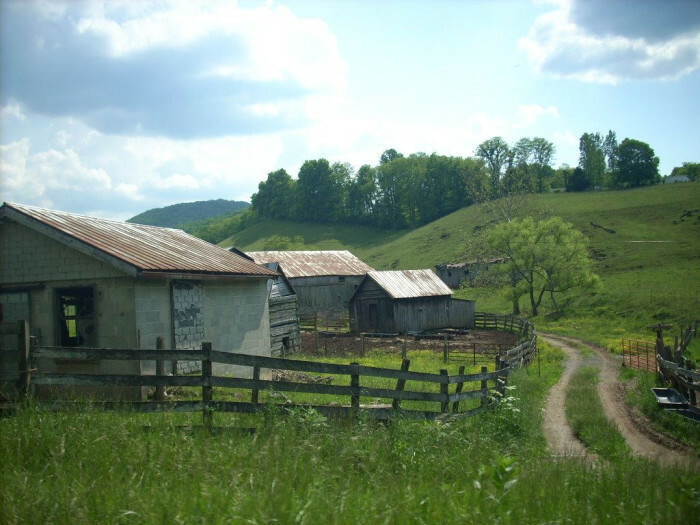 On 23 Acres of hillside placed in the Appalachian Mountains, sustainability from this place would prove improbable, but in so many ways, it has sustained us in mind and body, though not through primary sustenance. Oh, to be sure, it has provided a purpose beyond all I could have imagined. It is fashionable to try one’s hand at the land these days. It seems every twenty years or so, based on my reading of archaic Mother Earth Magazine volumes, a generation of younger folk give the homestead life a try. Few turn their attempts into an occupation, yet I venture to say, far fewer leave the life without deep lessons that stay with them forever. I admit I’ve struggled with being a farmer or homesteader when so much of what I do and enjoy is still so conventional. Then I realized what I’ve learned seems of no less importance. . .despite my "sometimes" farming. . . .
and I believe if I never "Sometimes" farmed another day in my life, the lessons I’ve learned are the most priceless of my lifetime and will endure long past my body’s ability to play "Sometimes FarmHER." Even a year of raising livestock or growing vegetables will change a person’s version of sticking "with it." Nothing except parenting could rise to the level of commitment raising a garden that flourishes, milking a cow through winter or hauling the first home grown steer to be processed requires. You dig in your heels, you refuse to give up and it begins to carry over in all areas of your life outside of the land. If you tend to seeing a glass half empty, you will find yourself revolutionized while delving into your farm. You will not last 3 months if you can’t dig up hope somewhere. Over and over and over again. You will hope that cow took when you hauled her 2 hours to a bull after chasing her around your property before finally coaxing her into that trailer, hope the rain comes for your heirloom corn’s sake doesn’t wither and for your children when they lament ever having a farm and when you hope your dairy goats do not give you another buck kid crop of 20 or more. You find hope all over the place, in the most unlikely spots, and you will become a person able to cling to the smallest shred of optimism when no one except a farmer could see the glimmer. I’ve laid in a stall with a dairy doe I loved greatly waiting for a vet we called too late in January when my hands turned blue, but I was too lost in grief to realize it. I’ve ran out to aid pig farmers when a sow couldn’t farrow only to see the sow and most of the piglets lost at 4am. Little will render you broke and broken in shorter order than a farm venture. You will face that moment your first pig or calf, loved and made into a pet, is old enough be part of circle of feeding your family and finally realize what farming costs. You will wonder how you will make ends meet now and again when winter approaches and hay stores are low or a hay season ran too short. You will watch a cow carry a calf for 9 months only to slip the calf and need to wait another year to see offspring from her. Loss comes in waves, and you stop and consider how you can ever get past it all, and through tears, you do. I know what it takes to produce food, so I really know what food should cost. I know good food verses poor quality food. I take little for granted. My children learned the facts of life the old fashioned way. They know food comes at great cost, that no matter where we it comes from, labor and life went into the making. I have learned all the ways food arrives to us: the ethical way, the ideal but unattainable way and the cruel way. I work incredibly hard to make sure some of what we have is from our own hands, land and kindly produced, even though I do not have to do so. When you do not count on your farm to produce your sole income, you know at any moment, you can give it all up. You stay thankful for the milk machine your grandmother wouldn’t have had when milking a cow giving 8 gallons of milk a day, too. You work even when your regular job is done to avoid the fast, cheap and easy lifestyle American has become known for all around the world. You want to be faced with giving up only to opt to keep on because the rewards for the soul are still too valuable to miss. I know how much land it takes to give quality care to cattle, goats and poultry. I know how much water growing and raising livestock consumes. I know how hard a garden is to maintain. In so many ways, few of us know how to do anything useful when removed from land. Removed from electronics, a car and a grocery store, we have no idea how to do much of anything. I know what has to go into soap to make it lather. I can AI a goat and give IM/IV and SQ injections to animals 10 times my size. I understand how vital moderation in medication, vaccinations and antibiotics are across the board. I see the power of selective breeding, survival of the fittest and how we have ruined so much by making a soft environment. We lack the most basic skills. I discovered what children will do, even in a modern home of video games, phones and apps when you turn them out on 20 acres to be just boys. . .they learn to build forts, to ride ponies, to milk goats. They know when to yell, "Mom, Dutchie is in heat. Time to bring out a buck," and they know when to note a horse is off feed and needs a second look to make sure all is well. We can pull calves, piglets and goats when labor is amiss I know what minerals the soil lacks in my area. I can milk goats and a cow for an hour straight without breaking a sweat, and I can turn that milk into butter, cheese and yogurt. A short time with livestock and growing your food will give you more useful skills than you would find in an entire modern life lived without this connection. actor and an arm smaller than your own to pull out piglets, your local farmer has that for you. In the Snow. At 4am. Twice. Taking the land or animal lives for granted ever again is not likely. You look at the ground with a new consideration. You think about your impact. The impact of others and mull this over everywhere you go. At night. In bed, You think about how the Livestock Guard Dog works to earn his keep, you think about how the dairy goat produces 8 lbs of milk a day to earn hers. You see this huge portrait where everyone gives their part to make the place run, and it is gives a whole new respect for everything that grows, be that children, hay or goat kids. Your kids talk constantly about how eggs end up on their plate and what it means to not waste sausage when it is served. You’re strong. . .I’m talking a strength that comes from inside and outside. It isn’t the type we gain from 45 minutes a day in a Gym we pay a membership fee to, it is not the kind to sculpt a body for visual appeal; true enough. It is the kind that makes the body a functional, strong machine that can carry 100lb bags of feed up a mountain in the snow when you only weigh 138lbs yourself. The type of strong that lets you swing 75b hay bales up on a trailer 100 times while working on your natural "tan." I’m also talking about emotional strength. The small stuff suddenly is just that: Small. You are too busy with things worth your while to worry about the nonsense that creates personal drama, thankfully. And if the drama makes it to you, your response is usually going to be: "Meh, whatever. I have goats to milk." You realize what makes the world go round isn’t snarky nonsense or failing to have a clean floor or even clean children. You are better able to deal with real crisis, think fast and ignore the nonsense. Without farming, I’d still have a really great spouse and good kids, but with our ‘sometimes’ farm, life is such a team effort where skills and experiences will last a lifetime and apply across the board, it takes everything a step further. I need my oldest to feed the goat kids while I milk. I need the little ones to gather eggs because I forget. I depend on them to see the things I miss, a chicken who limps, a goat gone wandering to the neighbors or whatever else that I fail to note. They know that the heavy responsibilities here mean time is short and of great value. We have learned life isn’t about just Us, by a long shot. We are conscientious caregivers, and we are Thankful all of the time. In a world where so little is real, where almost no work is required and the spirit is left void and wanting. . . even producing or nurturing one thing that, in turn, feeds you or otherwise nourishes you is of more value than I ever expected those 6 years ago when I began a ‘Sometimes’ farm that requires work all of the time. The idea of walking away leaves me feeling blank and desolate, even though there isn’t a lot of tangible reason as to why. But one day, if I find myself without cows, chickens and goats in my yard, the lessons I’ve learned, the values and skills my children will have, will always make every single moment worth it. I’ve finally become very sure. 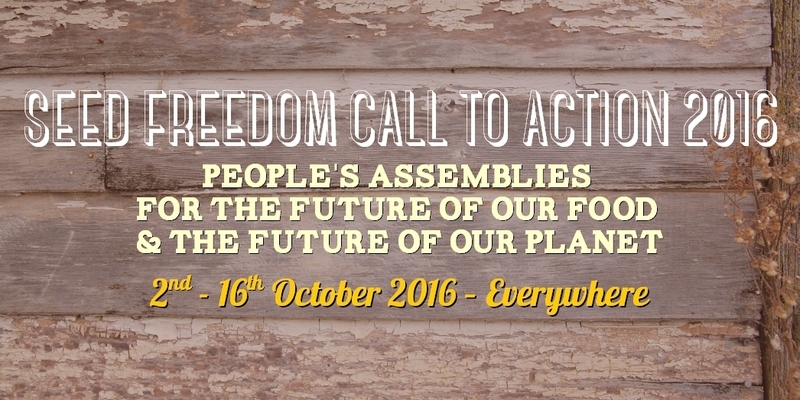 We are happy to inform you that Navdanya – along with multiple civil society organizations – is co-organizing a People’s Assembly for the future of food and the future of our planet at the Monsanto Tribunal in The Hague from 14th to 16th October 2016. 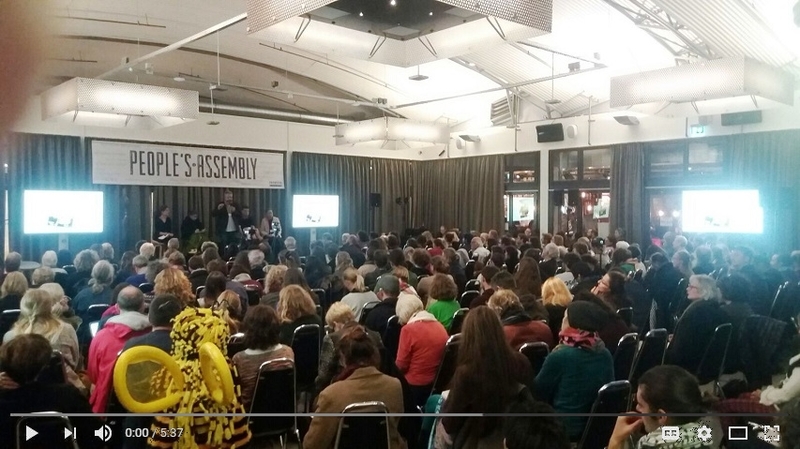 It is with the same spirit which led us to co-organise the actions at The Hague, that we invite you to organise People’s Assemblies – wherever you are – as this year’s actions for Seed Freedom and Food Freedom; and both, do a public trial of Monsanto as well as create a system of our food free of the poisons and the poisons makers. From the 2nd of October to the 16th of October, organize People’s Assemblies everywhere, to stop a century of ecocide and genocide, so we can re-begin to start living with peace on the earth. Those who brought us the concentration camps, the poisons of the green revolution, GMO’s and patents of seeds, and now the new extermination tools of gene editing and drives, need to be tried for crimes against the earth and crimes against humanity. As earth citizens, we have a duty to protect the earth and we have a right to protect our lives and that of future generations. And even while we trial them for their crimes we must celebrate life on earth, our capacity to work with the earth as co-creators. Peace, love, celebration, diversity is what we hope in October you will organize wherever you are in your own way.